Relentless curiosity has propelled Leslie Wexner’s career—and made him a billionaire. After graduating from college in 1959, Wexner worked at a family-owned retail store and began to wonder why his dad always toiled for long hours but never made money. Reviewing invoices, he realized that selling more expensive items such as dresses and coats—his father’s goal—proved foolhardy. Such higher-priced inventory sat on the racks for months. 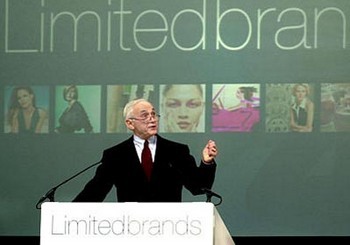 Wexner also discovered that less glamorous items such as shirts and pants drove the store’s profits—even though they were cheaper and viewed as afterthoughts. Wexner urged his father to remove all the coats and replace them with more blouses and pants. His father refused, so Wexner borrowed $5,000 from an aunt and opened a competing store in 1963. He called it The Limited and stocked it with a limited selection of shirts, pants and other clothes that generated heavy sales volume. Wexner kept pursuing counterintuitive business strategies. He built The Limited into a successful chain at a time when department stores with ever-increasing selections of clothing were the rage. He also grew it into a national brand while the biggest retailers preferred to establish regional chains. When rival retailers expanded overseas, Wexner resisted. In his biggest move, he questioned the prevailing image of the lingerie business as somehow less than wholesome. In launching Victoria’s Secret, he found that shoppers would happily browse for bras in a mall store near a food court and multiplex theatre. Today, Wexner is worth over $6 billion. He oversees a retail empire of over 2,900 stores with sales of $11 billion. — Adapted from “Victoria’s Other Secret,” Dan Alexander, www.forbes.com.